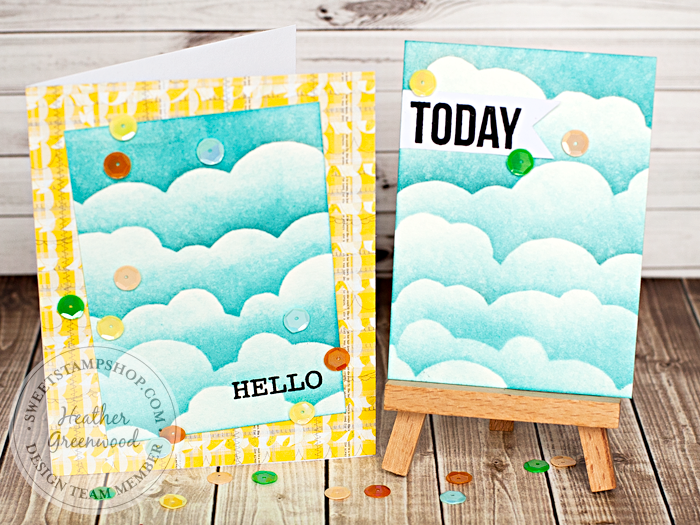 Today I'm sharing a tutorial on how I used Sweet Stamp Shop's Speech Bubbles stamp set to create this cloudy background. I also show how I used a 4"x6" pocket card to make both a greeting card and a journal card for my pocket scrapbook album. Be sure to check it out on the Sweet Stamp Shop blog! I had tons of fun creating them!